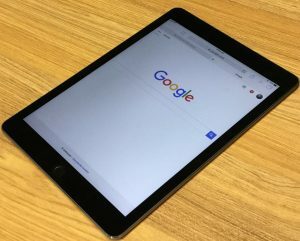 Mobile internet usage surpassed desktop in 2015, and Google has explicitly stated that most website visitors will access pages via a mobile device. Using Google Ads to produce mobile-friendly ads that appear in mobile searches is a top method of marketing in the modern world. The sensible reaction to this trend is to allocate more resources in mobile marketing, and, as we’ll discuss on this page; mobile advertising. The best mobile platform on which to advertise is Google Ads. An estimated 82% of smartphone users perform searches for businesses near them. Imagine missing out on 8 out of every 10 customers, and the consequences that would present. The digital landscape has shifted, and online presence must extend to mobile devices if your plumbing company hopes to improve upon or sustain, success. Call (877) 388-9884 for plumber Ads mobile advertising services. 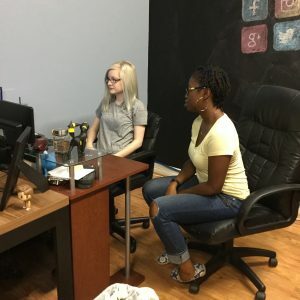 Running a PPC campaign, mobile or otherwise, while simultaneously managing a full-time plumbing business is unrealistic, and, in general, a bad idea. The best course of action is to delegate advertising responsibility. The problem for many plumbers is a lack of trust with marketing companies. At Plumbing Webmasters, our decades of experience working with contractors just like you should give you more confidence that we understand your market, and how to appeal to it. Based on measurements, the optimization of mobile advertising can be constantly improved. Best SEO practice should be followed when creating a mobile Ads campaign. Similarly to traditional Ads campaigns, mobile ads rely on an effective corresponding landing page. In this case, the page must be mobile-friendly, and easily navigable on mobile devices to fully maximize leads generated from advertising. A bonus to mobile ads is the integration of click to call functionality. With an embedded phone number link, users can connect directly to your office phone with one finger tap. PPC, SEO, and every other aspect of internet marketing are always evolving. What works best for your mobile ad campaign today, may not work as well in 6 months. There are endless variables that influence the market including season, demand, region, so on, and so forth. It’s best to focus on what you can control. In this case, that’s the measurement and analysis process. Plumbing Webmasters will keep your mobile ads current and modern to generate the most possible leads. Call (877) 388-9884 for plumber mobile ads. Updated on April 17, 2019 at 3:08 pm by Plumbing Webmasters.